The impact of FUD, or what do you do when you choke? 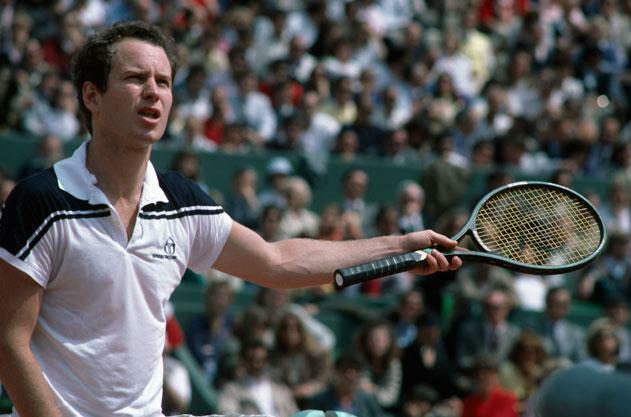 In 1984 McEnroe stood on the verge of winning the French Open, two sets up against Lendl, yet lost in five. Years later he commented on his outburst early in the third set, which was followed by his collapse, describing letting his opponent know of his uncertainty. Up to that point McEnroe had not lost a competitive match all year, so why this uncertainty, or doubt? It shows what a fragile thing confidence is. The odd mistake, or rejection can hit us and suddenly performance is impacted. It goes for all of us, though, as McEnroe stated, some people handle it better than others. There has been limited studies on the impact of doubt on performance, yet it is probably one of the major elements impacting performance in a whole range of contexts. What often happens is that we hit a poor shot, so for example in golf we end up in a really poor lie. Then the regret starts, the perception that it is a bad day and it becomes a reflection on us personally. In a work context there are numerous ways in which doubt can occur, whether we fail to meet a target, get a sale, get criticised by our boss or colleagues, or something we’re working on just doesn’t work out in the way that we wanted. One perspective is to look at dealing with doubt before it even occurs. One of the comments made about Tiger Woods is that when he hits a poor shot, leaving him in a difficult lie, that he sees it as a challenge to demonstrate his ability in getting out of the situation. Of course, for the golfer or tennis player the goal is simple and feedback is straightforward. However, doubt in our capability can still occur. As work, in the main, is much more collaborative, then looking for accurate feedback on our capability should help us get a grip on where we are. Ensuring that we are clear on our goals should help us see difficult situations as challenges that exercise us, rather than something to back off from. By the way, for those who don’t know – FUD stands for fear, uncertainty and doubt.